NBF has been consistently delivering strong results during the last two years believe that operating conditions are improving despite some amount of fear around real estate and contracting sector. “We don’t have serious worries about the real estate sector as we do not have big exposures there. What business we do in that sector is driven typically by expansion of existing facilities. We do see some delays [in payments] in the contracting side, however, it is not as bad as the impression that has been created,” said Cook. The encouraging part about NBF’s balance sheet growth last year was that it was not specific on any one particular area or sector rather it was spread across a number of businesses. The bank’s total assets were up 8.5 per cent from Dh36.7 billion at 2017 year end to Dh39.8 billion year-end last year. Loans and advances and Islamic financing receivables rose 8.9 per cent from Dh24.1 billion at 2017 year end to Dh26.2 billion. Customer deposits increased by 9.4 per cent from Dh27.9 billion at 2017 year end to Dh30.5 billion. While the retail business grew in double digits with some areas growing in excess of 20 per cent and SME business making a strong comeback. The bank witnessed strong growth in interest income supported by loan growth and the interest rate increase last year with interest margins becoming healthier. 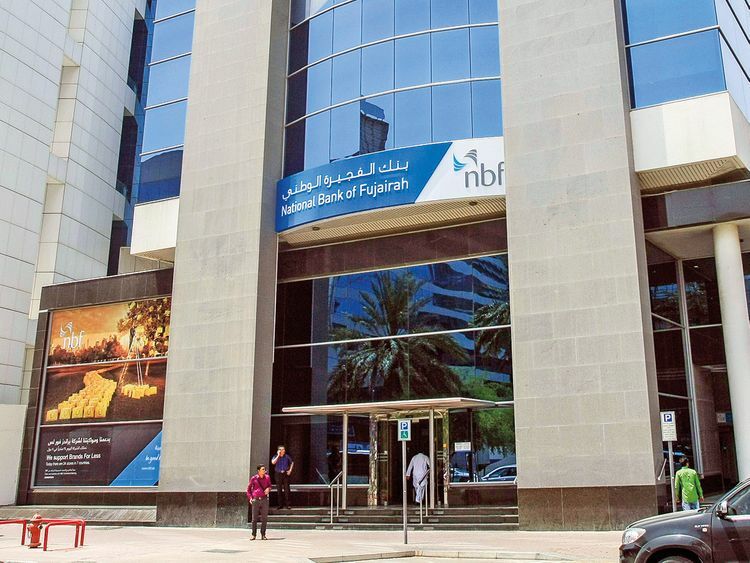 In 2018, NBF’s net interest income and net income from Islamic financing and investment activities grew by 18.4 per cent to Dh1.1 billion compared to 2017. “The spreads remained reasonably healthy. We had a small reduction in total provisioning coming with a number of good recoveries coming from previous impairments. We are also seeing good productivity coming from digitalisation,” said Cook. There has been a consistent reduction in cost income ratios with the cost income ratio NBF well below the average cost income ratio of 34 per cent for the top 10 banks in the UAE. Cook said as far as NBF is concerned, it has been doing well on both interest and non-interest income fronts. On the interest margin front, the bank is expected to do well as it has fortified the contribution of cheap and stable CASA [current and savings account] deposits to the total liquidity. With the overall loan growth remaining sluggish, Cook expects the competition for deposits to taper off, resulting in lower deposit rate expectations. He believes margin pressures could be visible mostly in very large transactions or corporate deals where larger banks are likely to intensify competition for market share at the cost of margins. The bank used to rely on traditional syndicated loans for longer term funding. It is gradually moving away from this sort of funding. Last year the bank converted one of its tier 1 bonds into common equity and repaid tier 2 capital, because it no longer gets the same treatment under Basel III. That has resulted in the capital adequacy tapering off a bit from the historical high levels. In order to compensate for that, the bank is planning to do a $350 million tire 1 issue that qualifies for capital adequacy.